Dear Readers, First Day of IBPS RRB Officers (Scale-1) Prelims 2017 was completed successfully, here we have given the full set of questions asked in IBPS RRB Officers (Scale-1) Prelims Exam which was held on 9th Sep 2017. Candidates those who are about to attend the IBPS RRB Officers (Scale-1) Prelims Exam can make use of it. 1). 89, 88, 85, 78, 63, ? 2). 5, 28, 47, 64, 77, ? 3). 7, 4, 5, 12, 52, ? 4). 6, 4, 5, 11, 39, ? There are 8 person A, B,C,D,E,F and G born in 8 diff month Jan, feb, mar, apr, june, aug ,and oct. A born in the month of less than 31 days but not in april. There are 3 person born b/w A and C. B born one of the day after D. No person born b/w B and D. E born one of the day before G. E not born in maximum number of days. 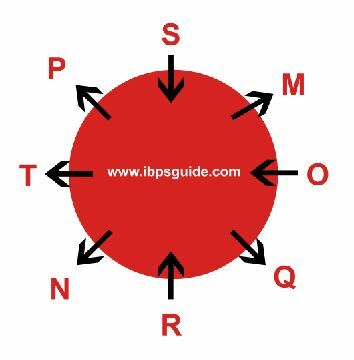 No person born b/w G and E.
M,N,O,P,Q,R,S and T are sitting around a circle.Some of the persons are facing the center and some are facing outside. O sits 2nd to the right of R. R is facing towards the center. There are 2 persons in between O and N. S sits 2nd to the right of O. T sits on the immediate right of N. S and N are facing opposite direction ( if S is facing center then N is facing outside and vice versa). There are 3 persons in between P and Q. 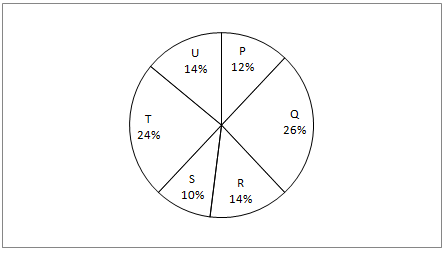 Both P and M are not immediate neighbours of R. Q sits 2nd to the right of M. Both T and Q faces opposite direction of O. 1). 519, 517, 509, 483, 403, ? 2). 27, 38, 51, 68, 87,? 3). 1094, 365, 122, 41, 14, ? 4). 7, 3, 2, 2, 4, ? Eight boxes A,B,C,D,J,K,L,M are arranged in a stack way. 3 boxes are kept in between A and J.there are As many boxes as in between c and J and c and A. There are 4 boxes in between k and B. K is immediately below C . There are 3 boxes in between M and D where D lies below M but not the Lowest. L does not lie immediately above J. Eight persons A, B, C, D, E, F and G were born on different month viz. February, March, June, August, September, October and December.A was born on one of the months before May month. There are two persons born between A and E. D was born one of the months before G, in the month has 30 days. No one was born between D and G. C was born one of the months after F, in the month has 31 days. No one was born between C and F.
No fight is a battle. Some war is a quarrel. The following table shows the number of students who appeared and of them, the percentage of students who passed, in respect of physics and chemistry exams during various years. 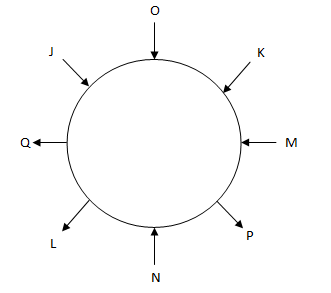 Eight persons J, K, L, M, N, O, P and Q are sitting in a circular table. Some of them are facing centre and some of them are facing away from the centre. Three persons sit between O and N. M is sitting second to the right of N. M faces inside the centre. K is sitting third to the right of N. Q is sitting third to the right of K. L is sitting second to the left of J. J is not an immediate neighbours of N. Immediate neighbours of P faces same direction. L and P are facing opposite direction of O. O faces same direction as M. Immediate neighbours of L faces opposite direction. Twelve persons are sitting in two parallel row in such a way that persons sitting one row faces persons sit in the other row. O, P, Q, R, S and T are sitting in row 1 faces south. E, F, G, I, J and K are sitting in row 2 faces north. Three persons sitting between R and T. R sits at one of the ends of the row. One who sits immediate left of J faces T. More than two persons sit between P and O. More than one person sits between P and Q. More than two people sit between one faces P and K. G is not an immediate neighbour of K. E is not an immediate neighbour of F and J. One who sits third to the right of S faces I. K does not sit at the end of the row. 1). 2, 8, 28, 54, 53, ? 3). 17, 31, 15, 33, 13 , ? 4). 973, 325, 109 , 37 , 13 , ? The following table shows details about the book ‘ABC’ sold by six different stores. 1) If total number of ‘EFG’ book sold is 20% less than the total number of ‘ABC’ book sold and the ratio of male and female buyer is 6: 7, find the number of male buyer? 2) What is the central angle for Q? 3) What is the ratio of the total book sold by P and Q together to the total book sold by T and U together? 4) What is the difference between the number of books sold by R and number of books sold by P? 5) Number of books sold by P is what percentage of number of books sold by T? 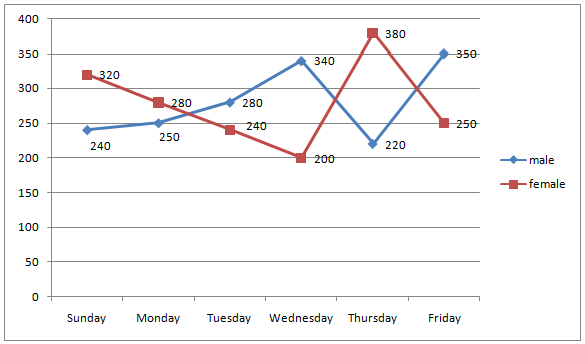 The following line graph shows the number of students (male + female) attended class on six different days. 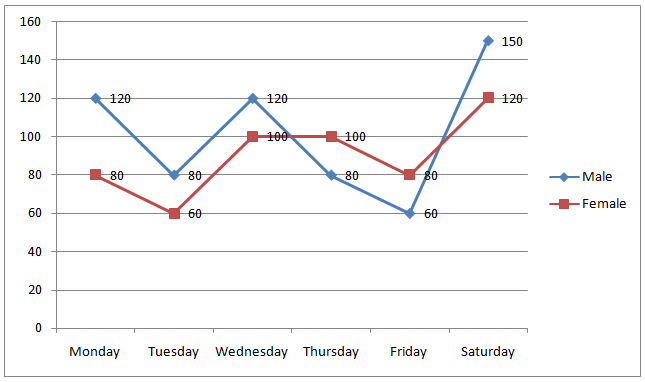 1) What is the ratio of number of male students attended class on Tuesday and Friday together to number of female students attended class on the same days? 2) Total number of students attended class on Saturday is 20% more than Friday , find the total number of students attended class on Saturday? 3) Number of male students attended class on Monday and Sunday together is approximately what percentage of number of female students attended class on Tuesday and Wednesday together? 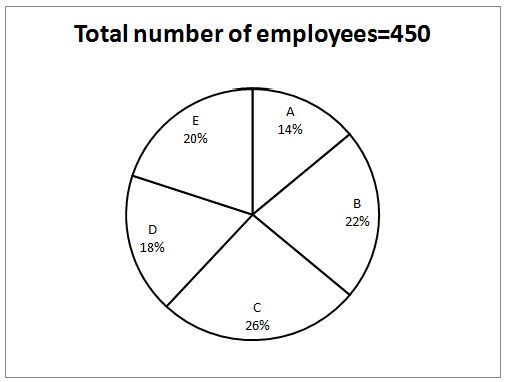 Eight persons P, R, S, T, U, V, W and Z are sitting in a circle and some of them facing inside and some of them are facing outside of the circle but not necessarily in the same order. S sits third to the left of U. Only one person sits between U and V who is not a neighbour of S. W sits second to the right of V. Z sits third to the right of U. R sits second to the right of T but not a neighbour of V. S and R are facing opposite direction as that of T. Immediate neighbours of V facing same direction. W and P are facing same direction as Z. V faces inside. Seven persons A, B, C, D, E, F and G are born in seven different months viz. January, March, May, July, August, October and December but not in same order. Only four members are born between A and D. A born before D. C is not born on March. Two persons born between C and E. C born before E. G born on one of the months after July but before September. F is not born before C.
Eight boxes D, E, G, H, I, J, M and N are placed in eight different racks but not in same order. Four boxes are there between G and E. N is placed immediately below J and one box is there between J and M. As many persons between H and M is there between N and I. Only two boxes are there between H and I. H is placed above I and G but not on topmost rack. 1). 221, 109, 53, 25, 11, ? 2). 0.5, 12, 52, 106, 107, ? 3). 39, 31, 41, 29, 43, ? 5). 481, 477, 467, 439, 357, ? 2). There are 3 consecutive odd and three consecutive even numbers, the difference between smallest even digit number and largest odd digit number is 11. The difference between the product of smallest even and odd digit number is and the product of largest odd and largest even digit number is 172.What is the smallest odd digit number?